As we have told in our earlier article about Trends in SCADA system i.e Real-Time and Historical Trend. 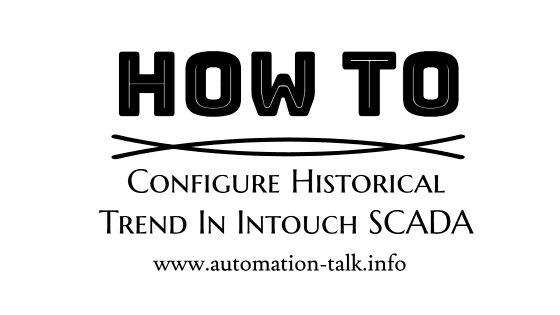 In this article, we will tell you "how to configure Historical Trend in Wonderware Intouch SCADA". First of all, we will tell you what is Historical trends and its importance. As we have told Historical trends are used to view past values of the Tag and you can configure them to see any past date Data. Subscribe to Automation-Talk by Email. "Historical Trend" plays a very important role in our SCADA system as on enabling Historical data logging we can clarify what was the past value of the desired tag value. You can also see How to Configure Real Time Trend In Intouch SCADA. 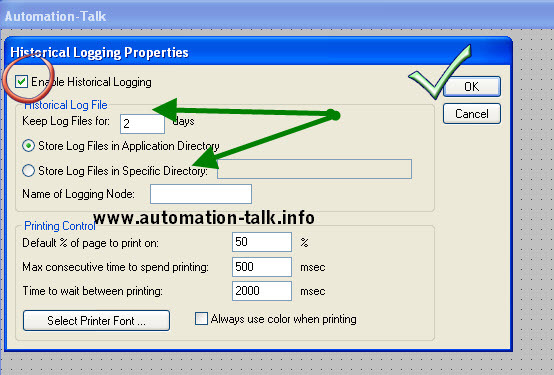 Special --> Configure --> Historical Logging. 2. 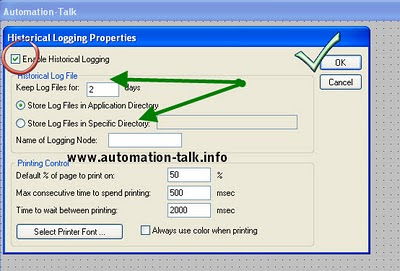 Now when you click on Historical Logging you will see a window just check Enable Historical Logging. And click OK.
3. Now you have enabled historical logging and you will have to draw a historical chart. Just click on the Historical button from the task bar. 4. Now just drag this chart and double click on it to open its property. Now put the Tag which you want to Log in the Tag Name which is marked as PEN. Note that you can configure 8 tag name in One chart. You will see many options here like color change of Trend lines, time division, value division etc. and we have marked the important once and don't forget to put them. If you have any problem you can leave a comment or you can Subscribe to Automation-Talk by Email for more upcoming tutorials. While giving pen a analog tag name ..first of all u should close the run mode window ...other pen will be hidden. 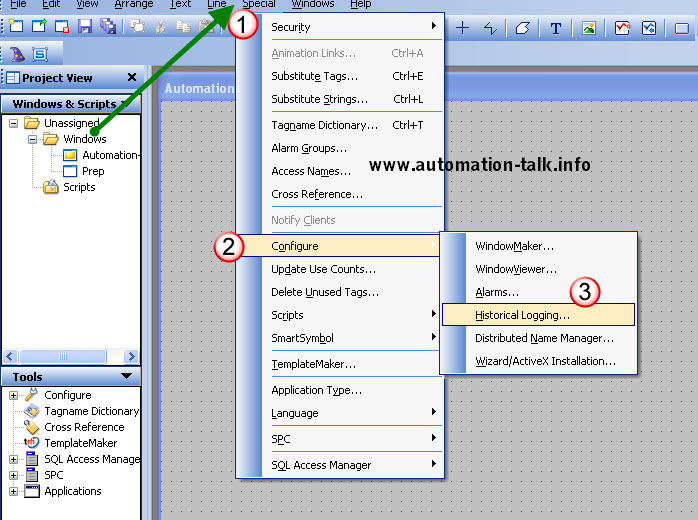 Thanks Kuldeep and welcome to Automation talk..